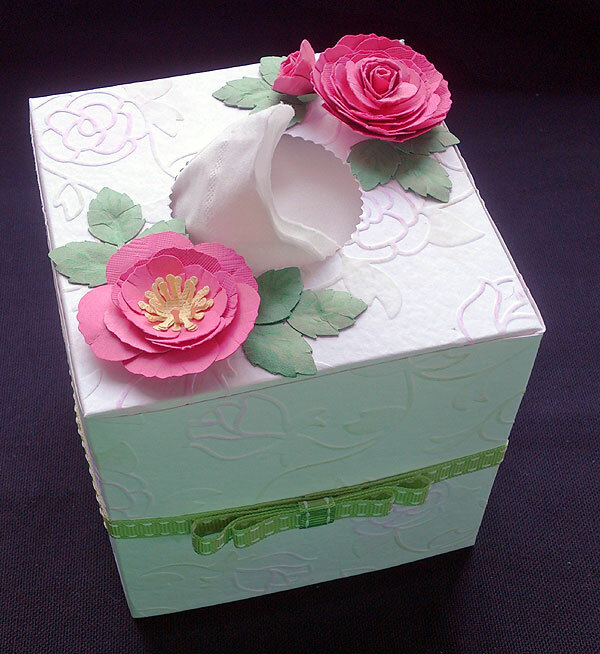 I decorated this tissue box with a slip cover created with one of the gorgeous new embossing folders from Tonic. I very lightly highlighted the design with pale pink and green ink. The roses on top are made with the punch and stamp set, and I finished it off with some ribbon trim. 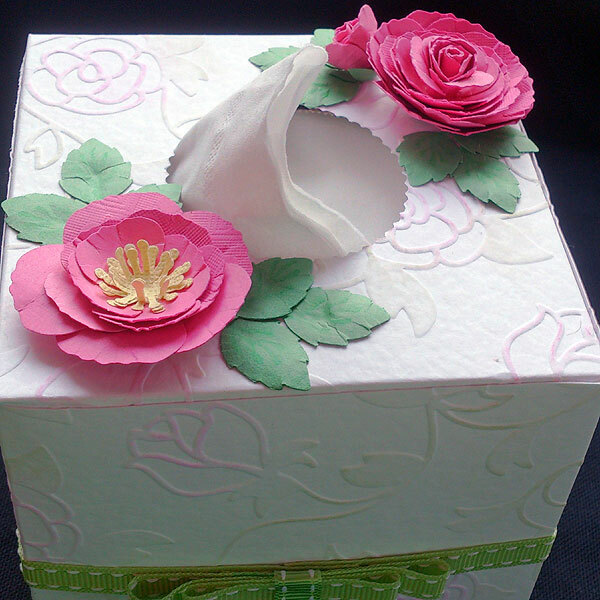 The hole for the tissues was cut using one of the scalloped circle layering dies. I just can't wait to see what the team have all been making using the gorgeous new products, and I bet you can't wait to see the launch on TV too. Catch Jodie on Tuesday, 18th February at 9pm & 11pm. And on Wednesday, 19th at 8am, 10am, 1pm, 4pm & 7pm on Ideal World.